In the “real world” of monthly bills and rising expenses, a decision about antivirus protection often comes down to the best protection for the money – and that’s where avast! Free Antivirus wins out over the rest. 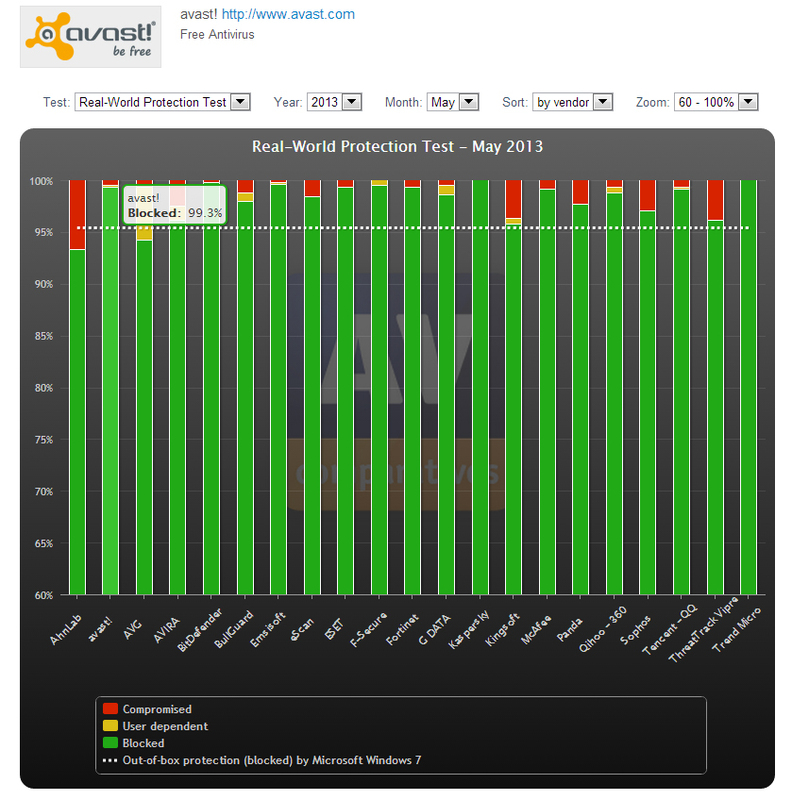 In the May 2013 Real-World Protection Test by AV-Comparatives, avast! Free Antivirus was up against 19 paid-for internet security suites which could cost the customer up to $60 per year. avast! Free Antivirus passed the tests with honors and was the only free solution to receive the Advanced+ rating! The test created a real-world scenario using a typical setup that many of us have; Windows 7 and software such as Adobe Flash and Acrobat Reader, Java, etc. To show how well antivirus products protect the user’s computer when surfing the web, the testers pitted AVAST and the others against threats we encounter in everyday life. They used 431 current dangerous exploits, URLs with known malware, and even a few malicious files from email attachments. avast! Free Antivirus blocked 99.3% of the threats.